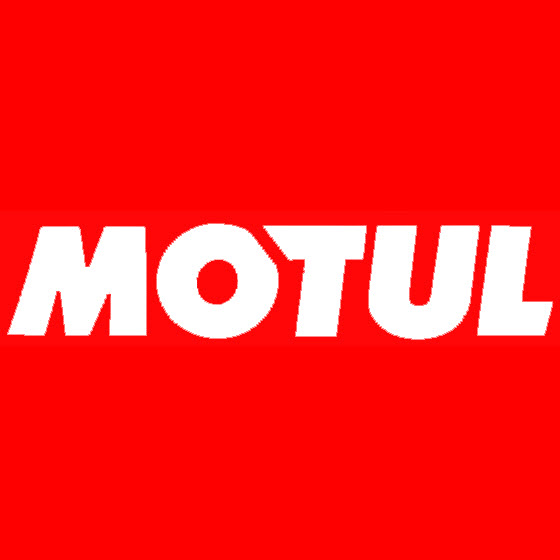 Motul tech 300 is een synthetische lagervet op basis van lithium dat bestand is tegen zeer hoge belastingen. Deze lagervet is bij uitstek geschikt voor off road motoren. 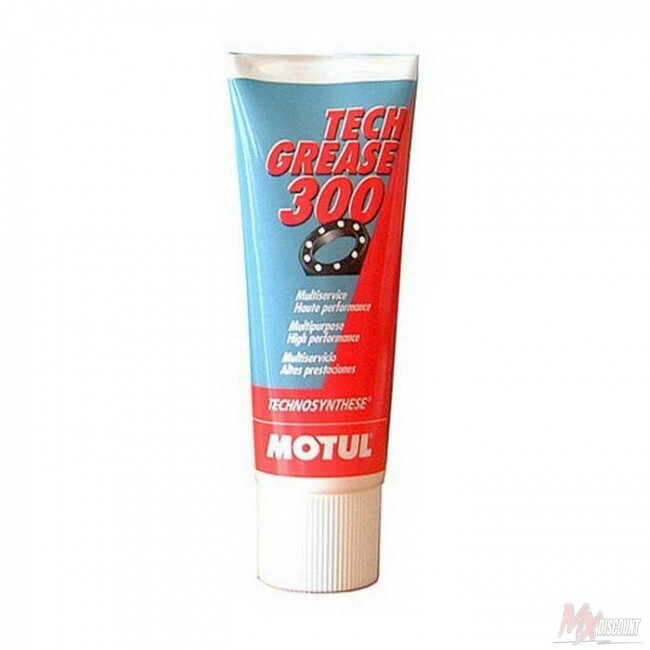 - Excellent performances at high temperature: the drop point higher than +260°C / +500°F allows a continuous use until +150°C / +302°F and punctually at +220°C / +428°F, far higher than classic greases. - Longer life duration compared to classic lithium greases. - Excellent cold properties : pumpability at -30°C / -22°F. - Resistance to heavy loads thanks to its complete high performance extreme-pressure and anti-wear additivation. 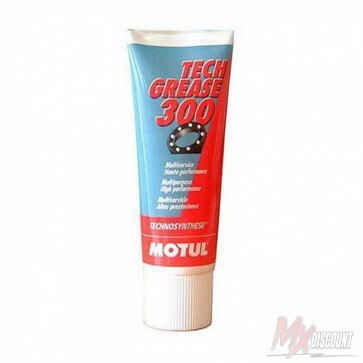 - Very high resistance to water, corrosion and rust.